Level Up Village facilitates conversations and collaboration between US students and Global Partner students. A common thread is emerging between our U.S. students and their Global Partners at Level Up Village. Through hundreds of global video exchanges, we’ve seen that students learn that their differences aren’t nearly as important as what they share. They may speak different languages, practice different religions and celebrate different holidays, but they are also surprised to find how much they have in common. Maybe it’s a shared passion for soccer or Taylor Swift, perhaps they’ve both had a recent power outage. (The U.S. student might have just had a big storm, whereas the Global Partner simply doesn’t have access to reliable energy.) Finally, students on both ends of the collaboration embrace technology: in our Global Inventors/3D printing course, they don’t even blink when they discover that they are both learning CAD design and using 3D printers to develop prototypes for solar-powered lights! When students make global connections, school subjects can come to life. In a recent Level Up Village course in Texas, students and their partners were discussing the geographical features of their countries. The U.S. student, who was studying volcanoes at the time, was fascinated to learn that her partner in Nicaragua lived near several of them! To take another example, students in LUV’s Global Scientists last week learned how their Global Partners in Kosovo filter and purify their water before drinking it. In the course, students are learning to build their own water filters and working together to find solutions to the global water crisis. 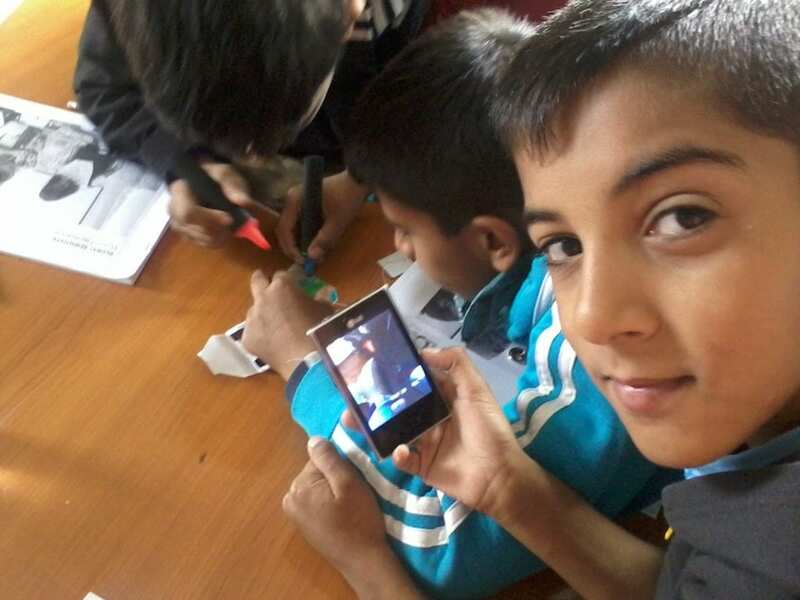 Level Up Village students in Kosovo work on developing solutions to the global water crisis with their US partners. These days, U.S. students often learn about recycling and may participate in recycling drives or pack lunches in reusable containers. But the concept of minimizing our carbon footprint or using alternative energy sources often remains in the abstract. Not the case with many of our Global Partners. In their countries, children may be working on recycled computers, enhancing the lighting in their homes with solar bottle bulbs, or using wind power or solar energy. So when U.S. students discuss electricity and energy with their global partners, they learn more about these real-world examples of innovation, recycling and green energy directly from kids who benefit from them. The sky’s the limit with these global conversations between students from around the world. We’ve given you three ideas to start the conversation, but we would love to hear from you what kinds of global conversations your students are having. Drop us an email and share what’s happening in your classroom. These kids in CT learned about elecricity, CAD and 3D printing together with global partners from NicaPhoto in Nicaragua.